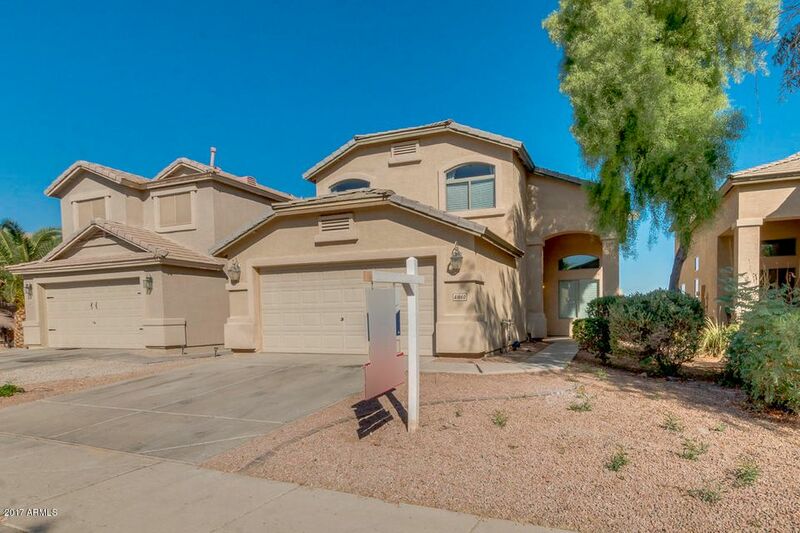 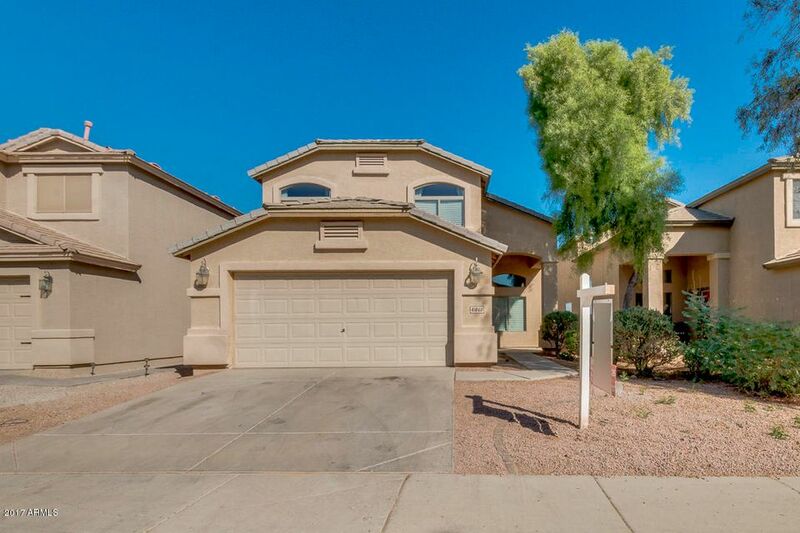 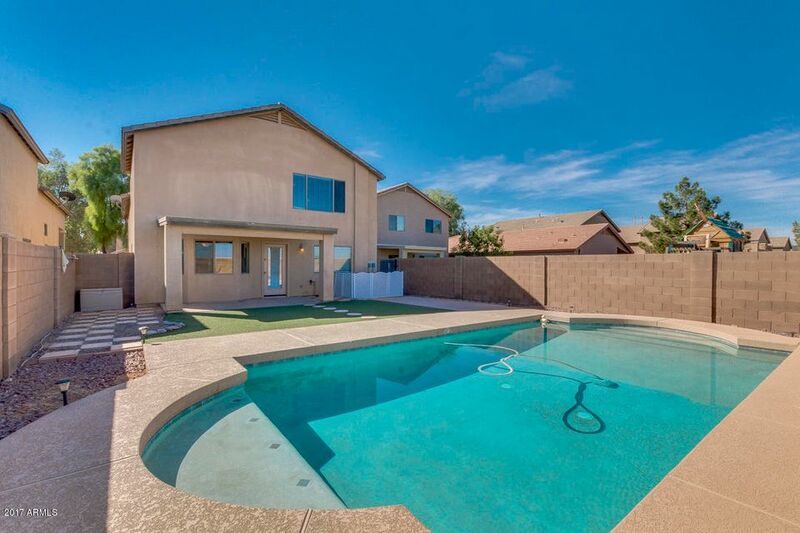 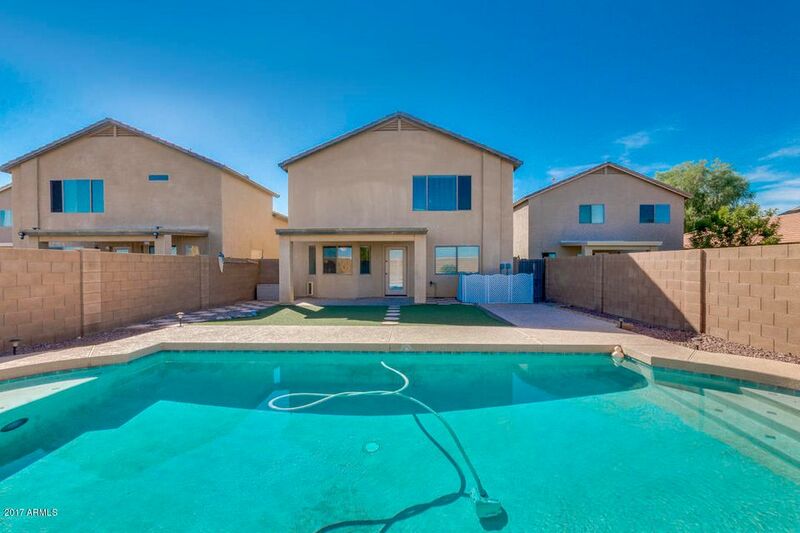 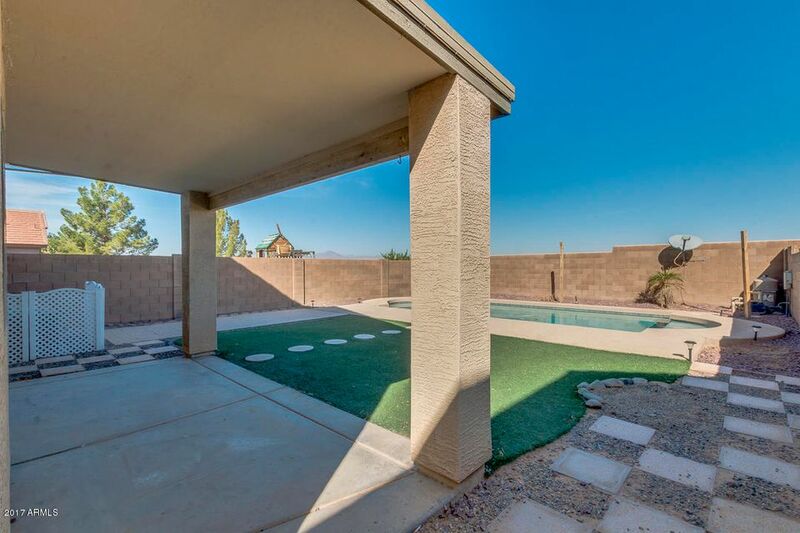 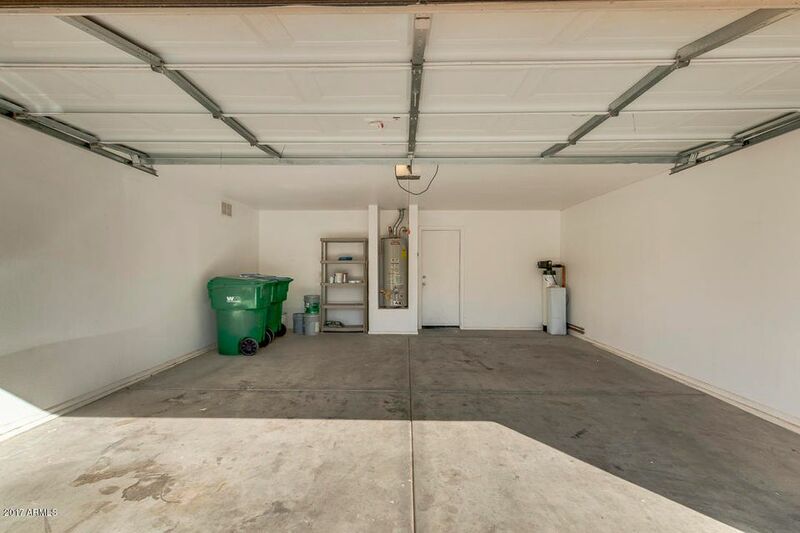 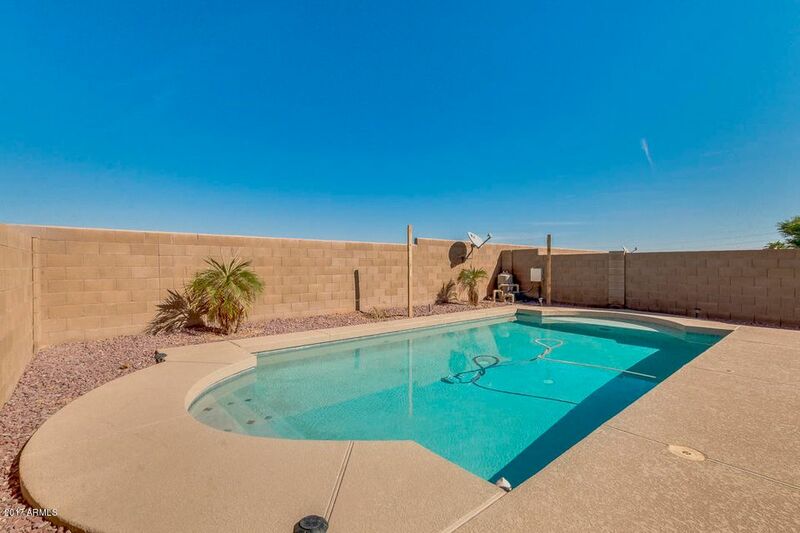 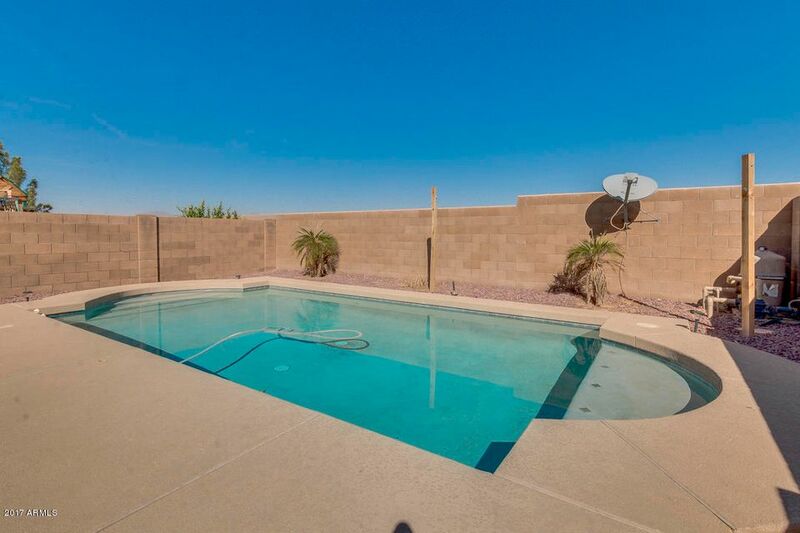 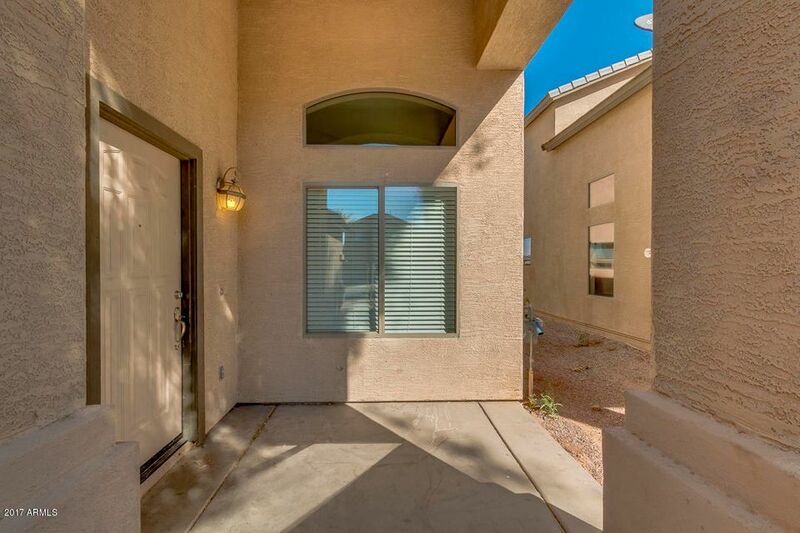 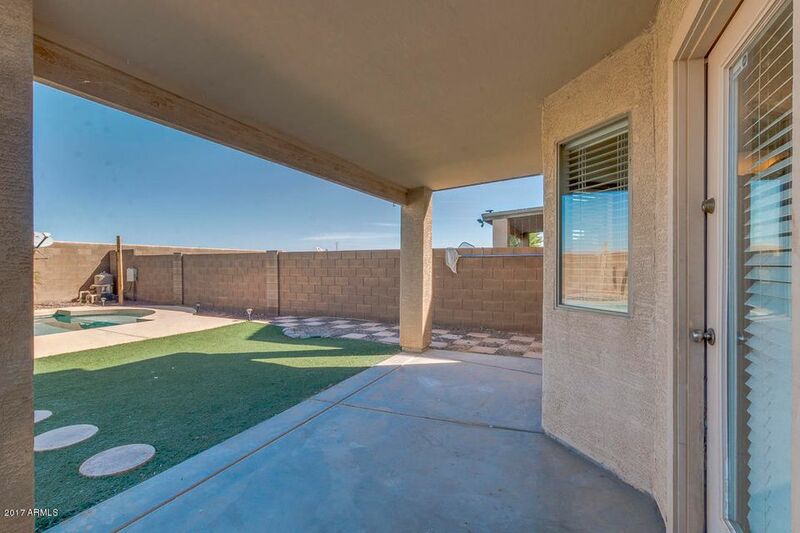 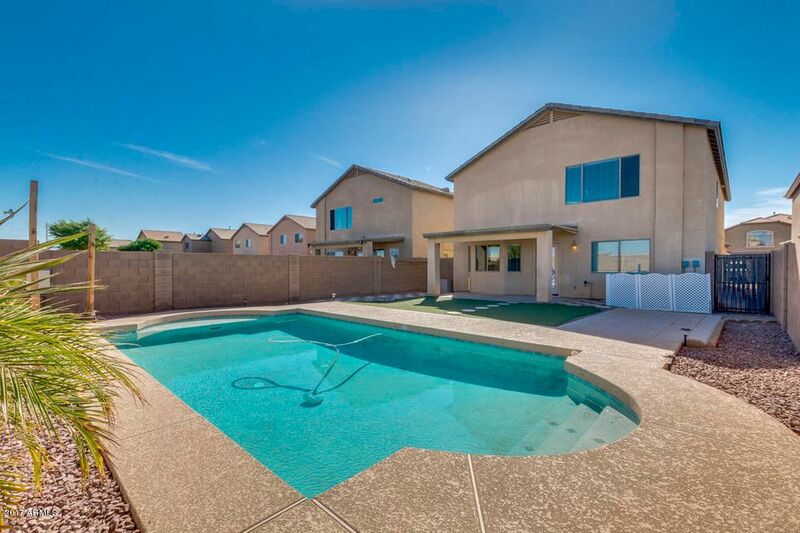 This immaculate pool house has no neighbors to the rear, There are desert and mountain views only. 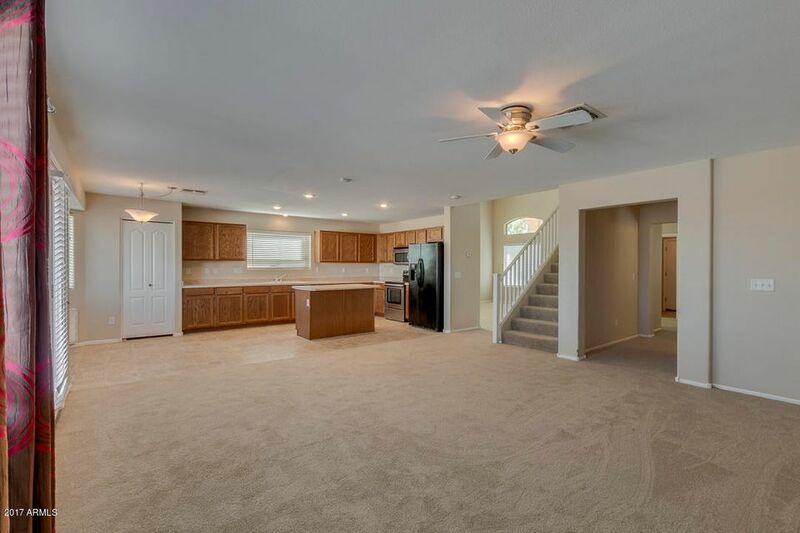 The interior has fresh paint, new carpet and move in ready. 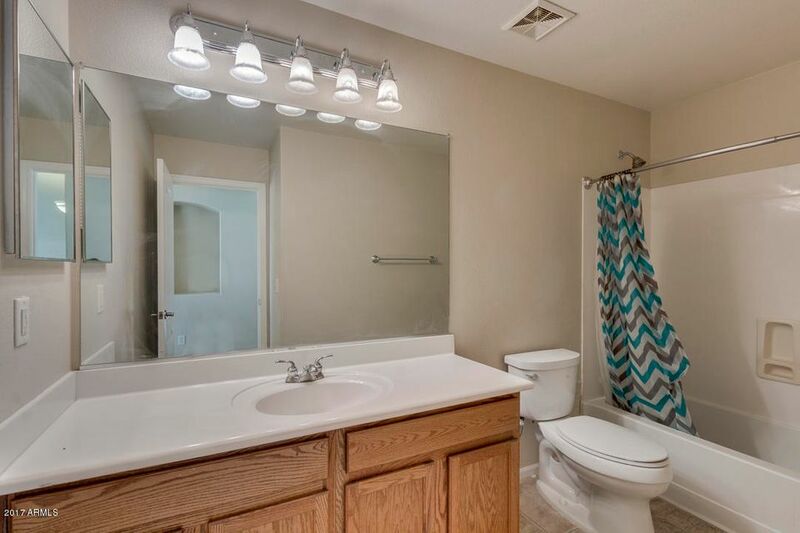 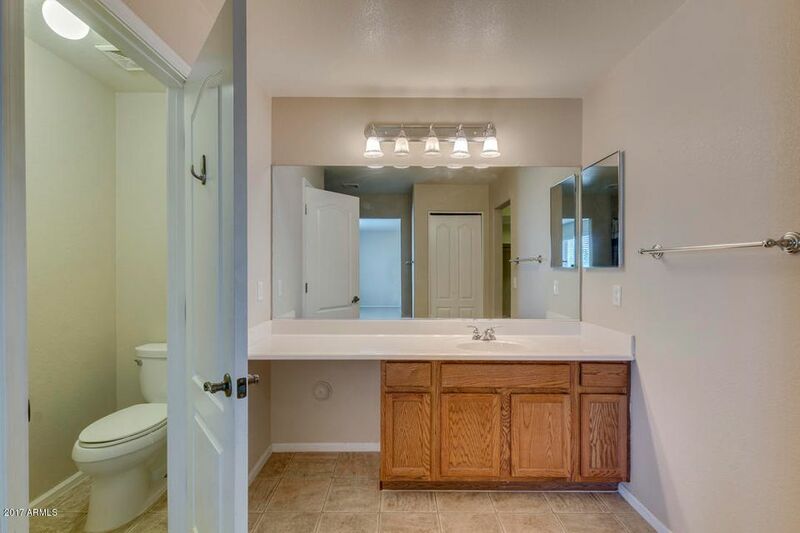 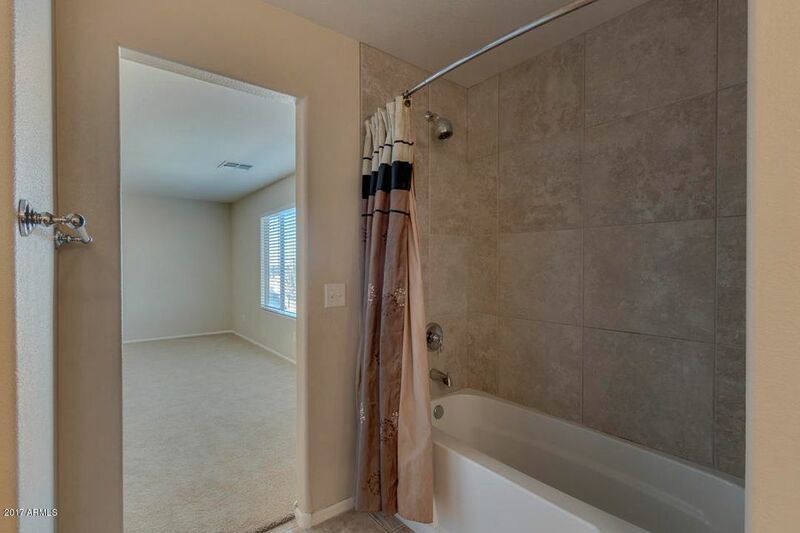 There are 3 bedrooms and 2 bathrooms up along with a small loft area. 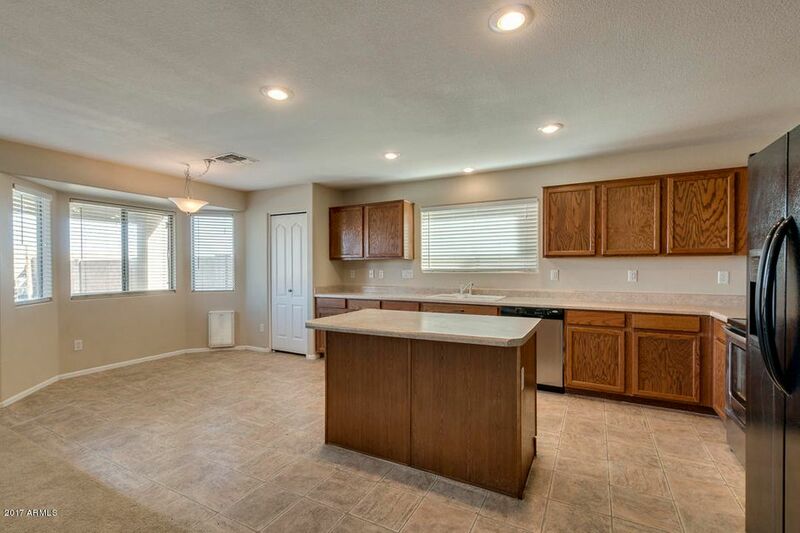 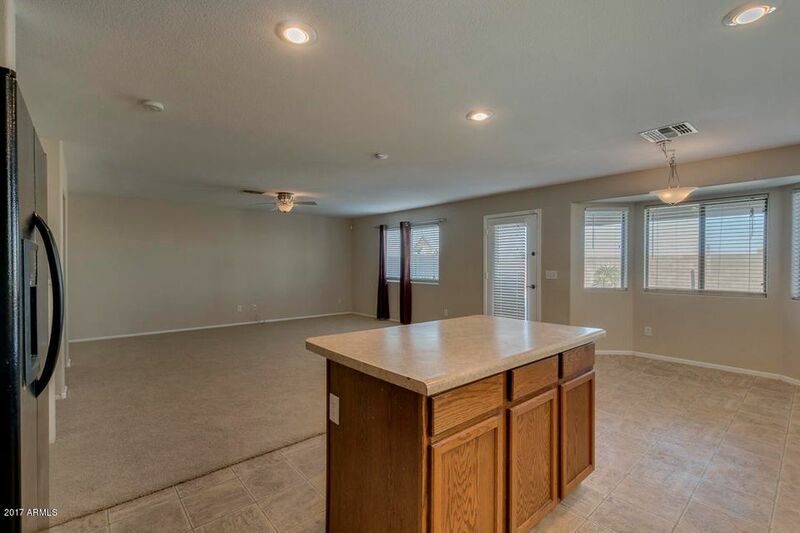 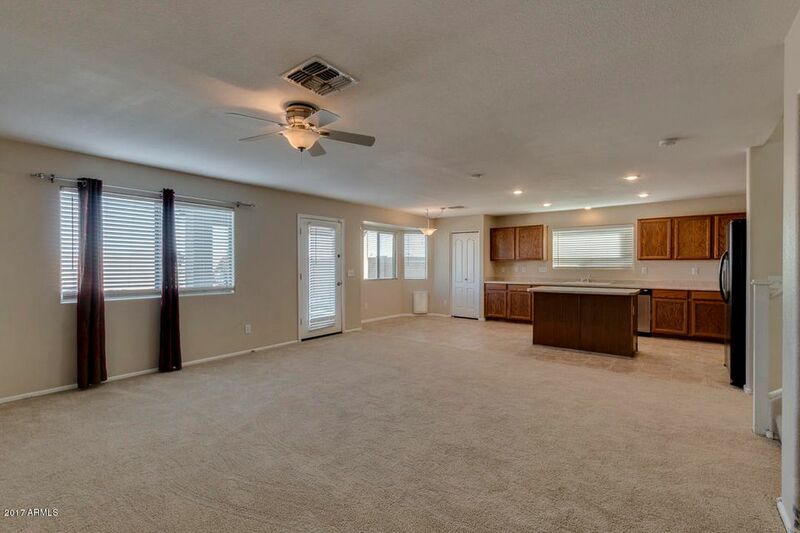 The first floor has a large formal living/Dining area, big kitchen with tons of cabinets with stainless steel appliances and an eat in area. 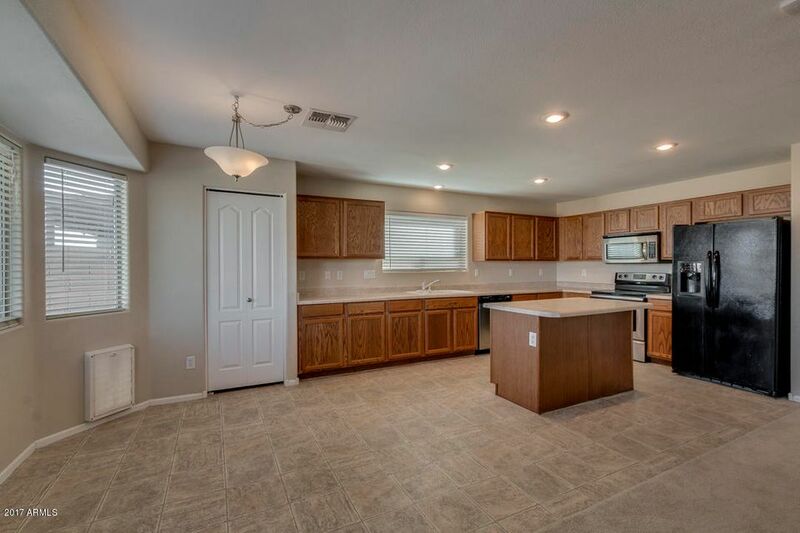 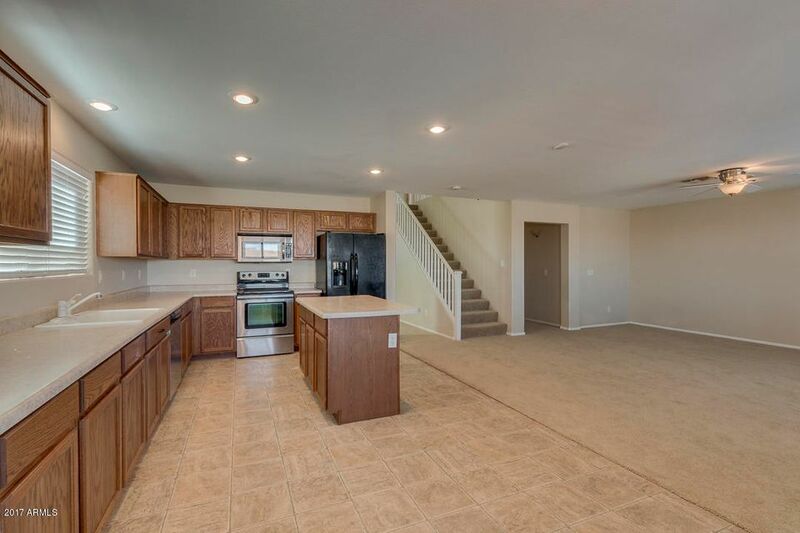 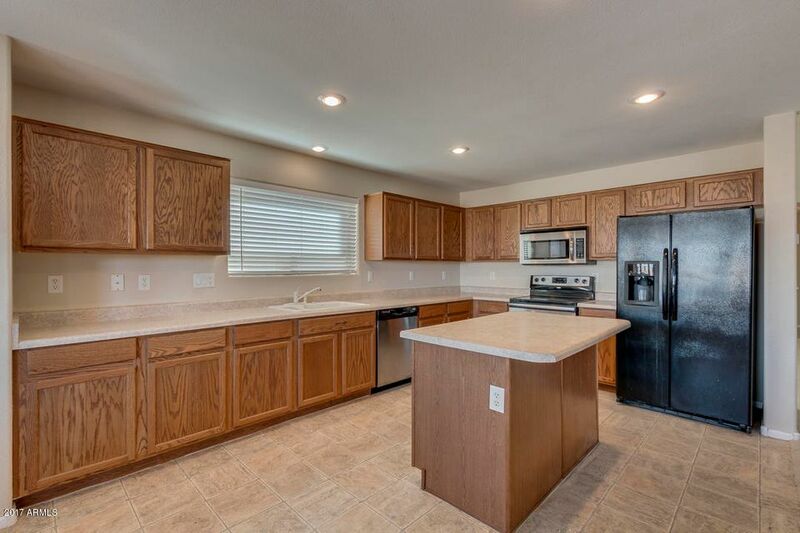 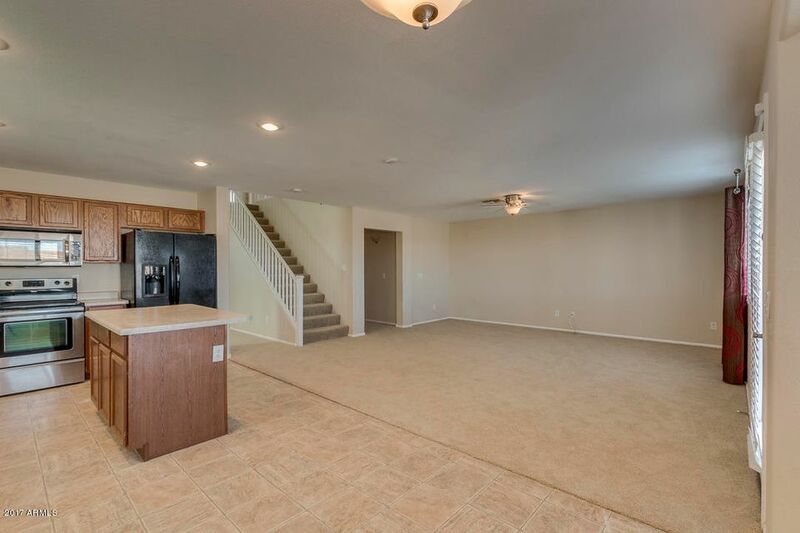 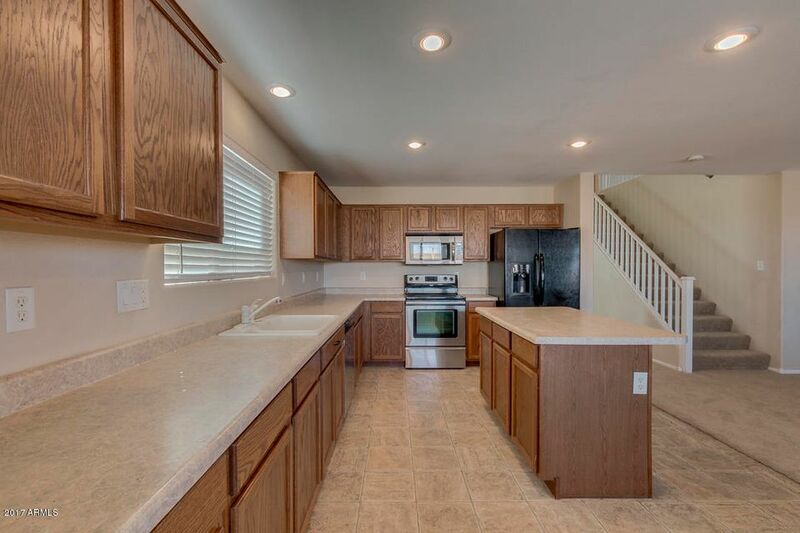 The kitchen opens to a spacious family room. 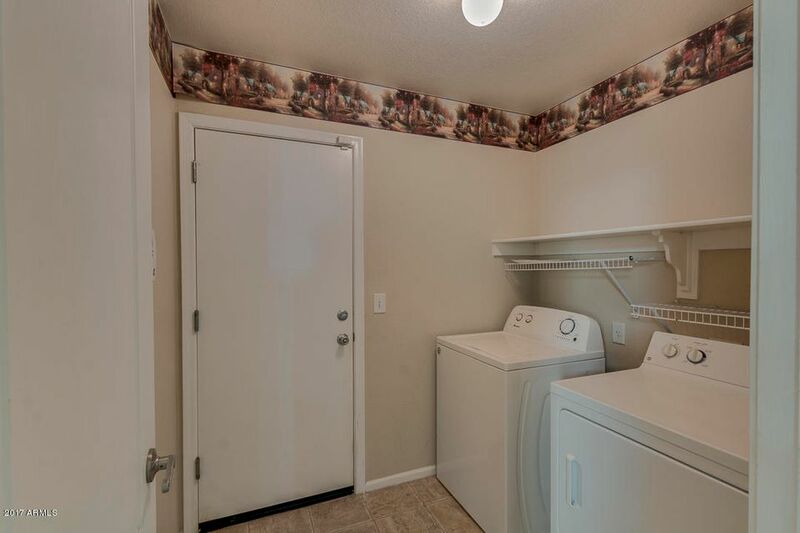 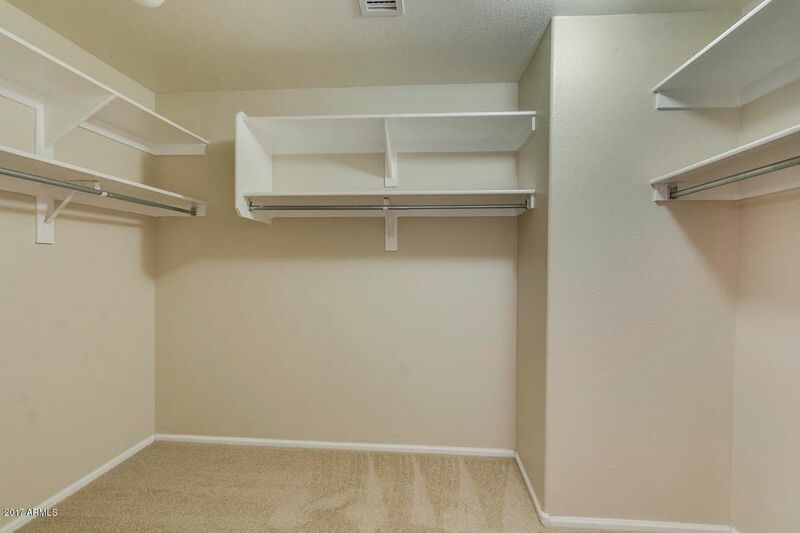 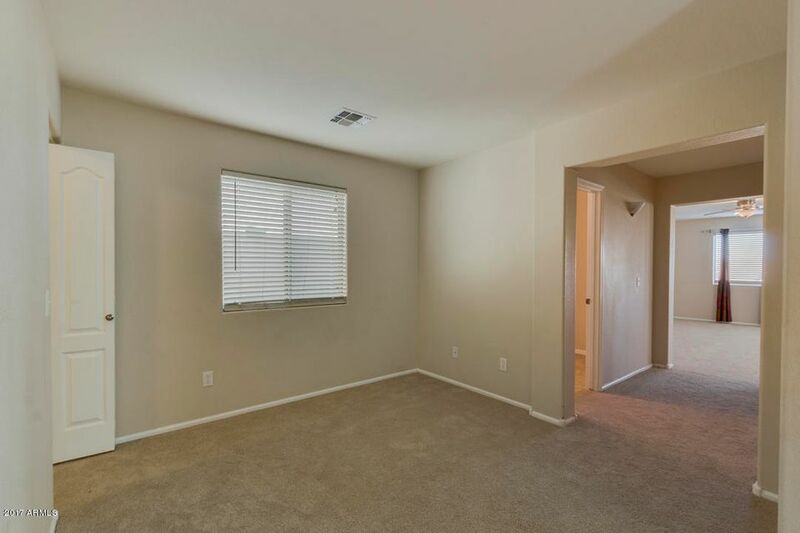 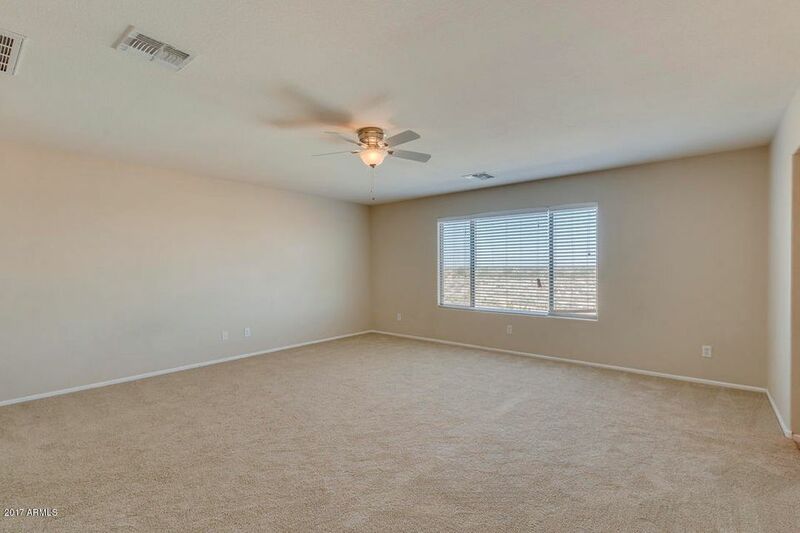 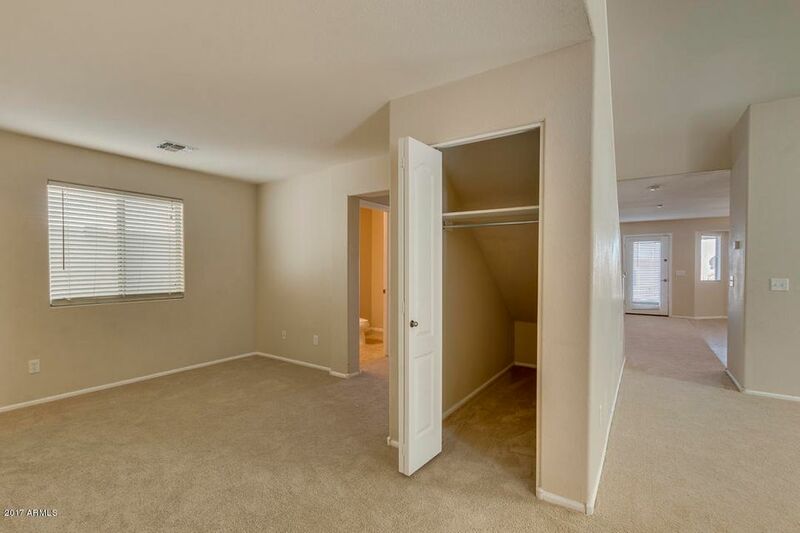 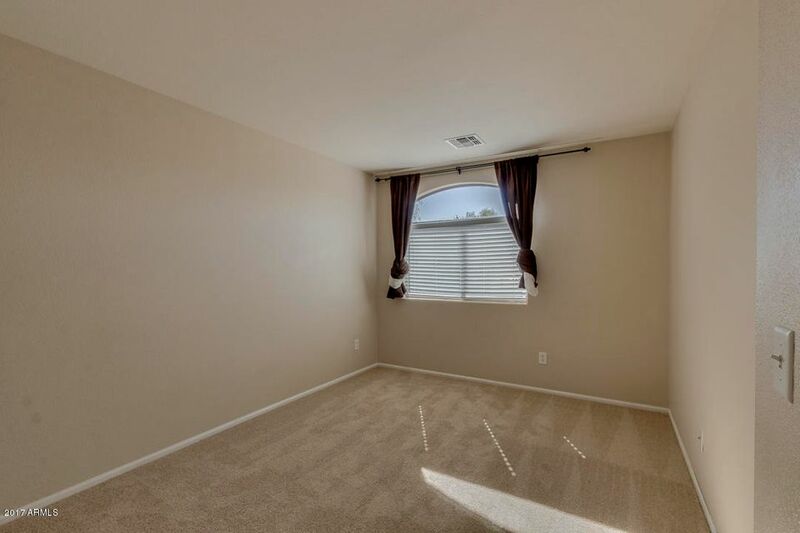 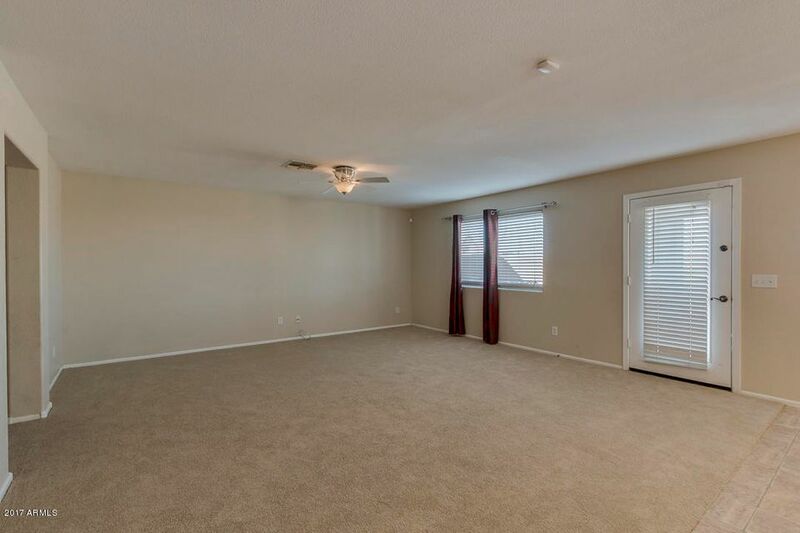 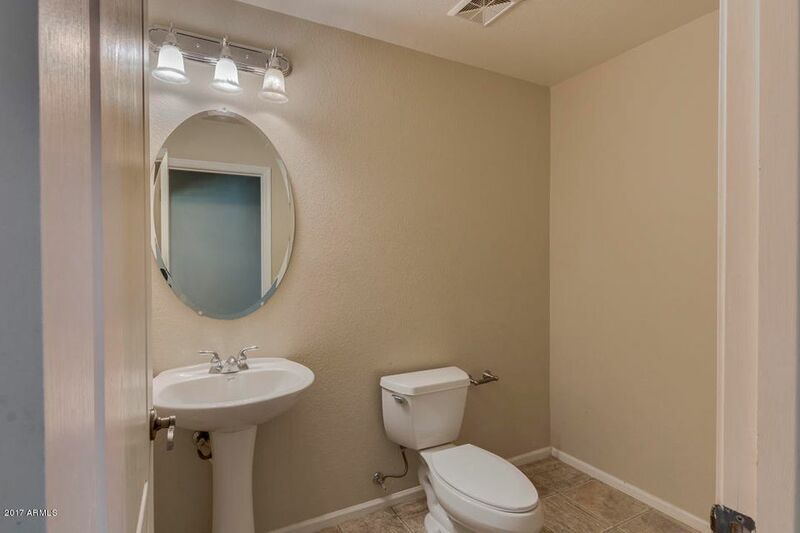 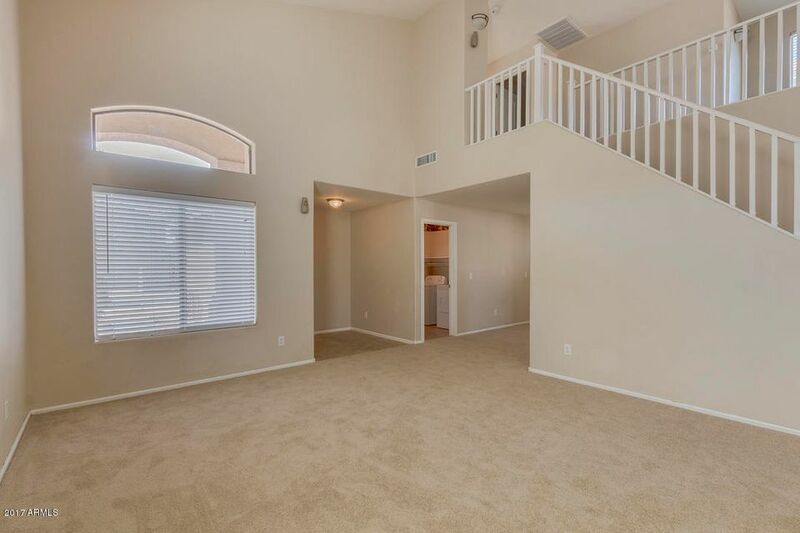 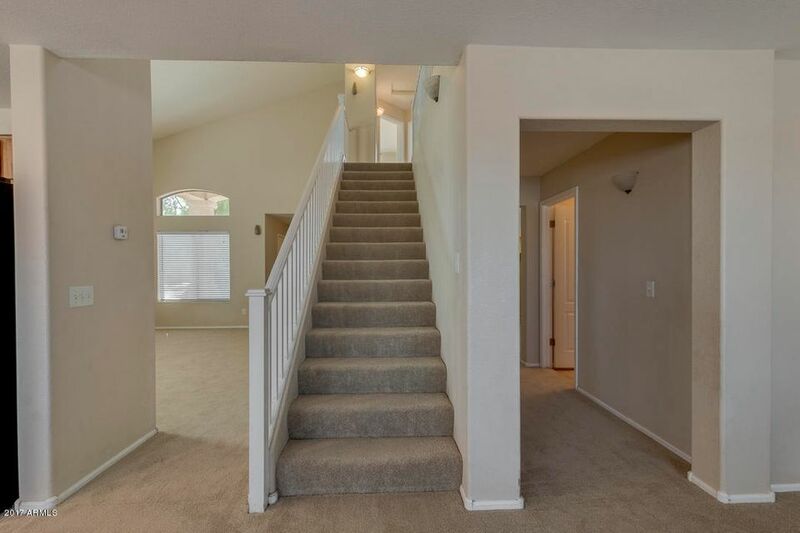 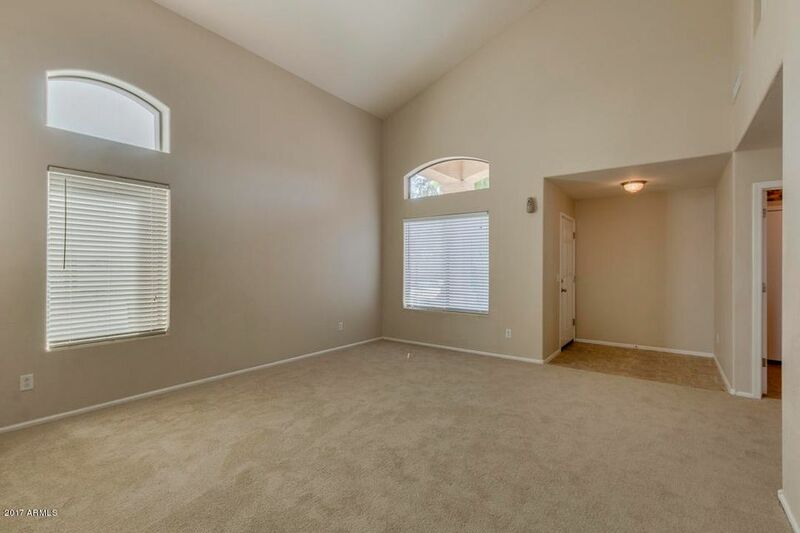 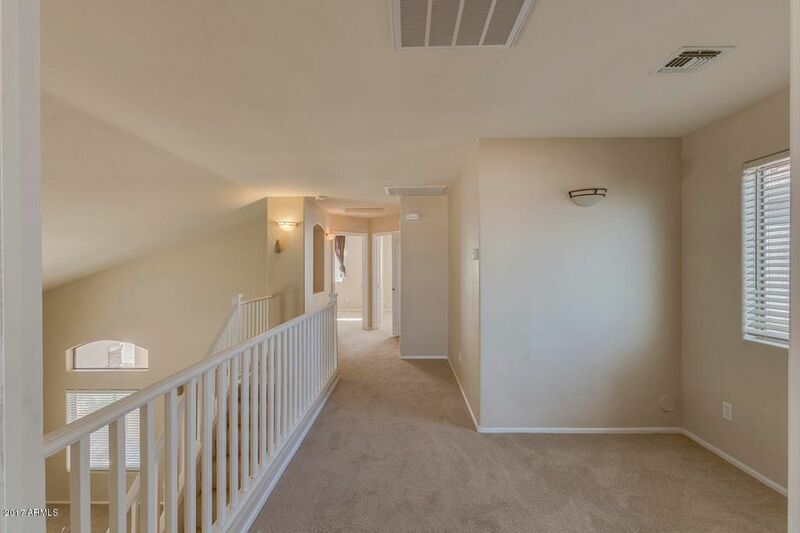 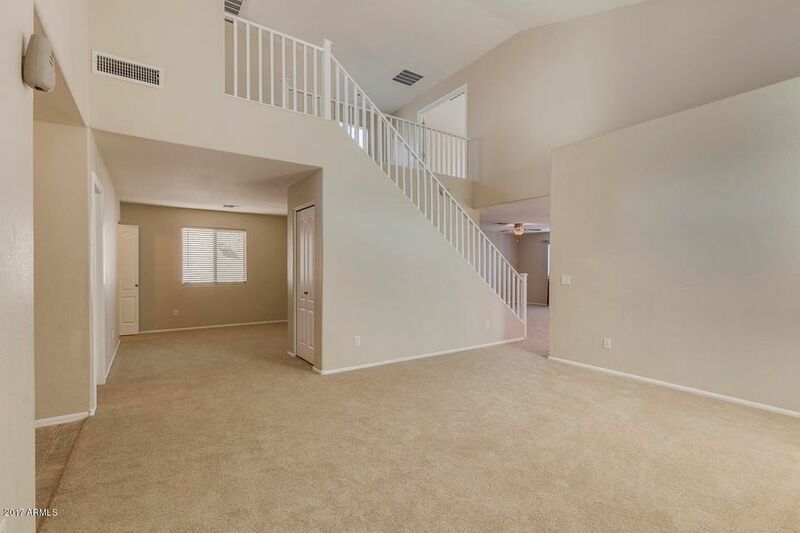 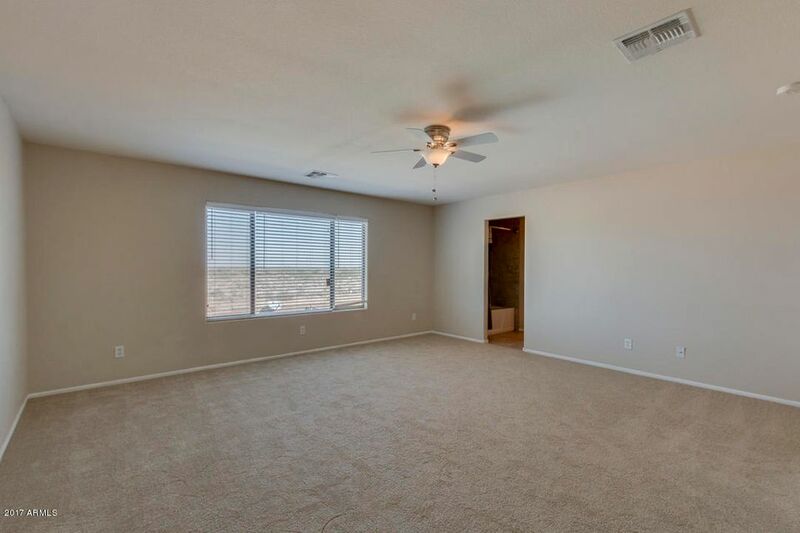 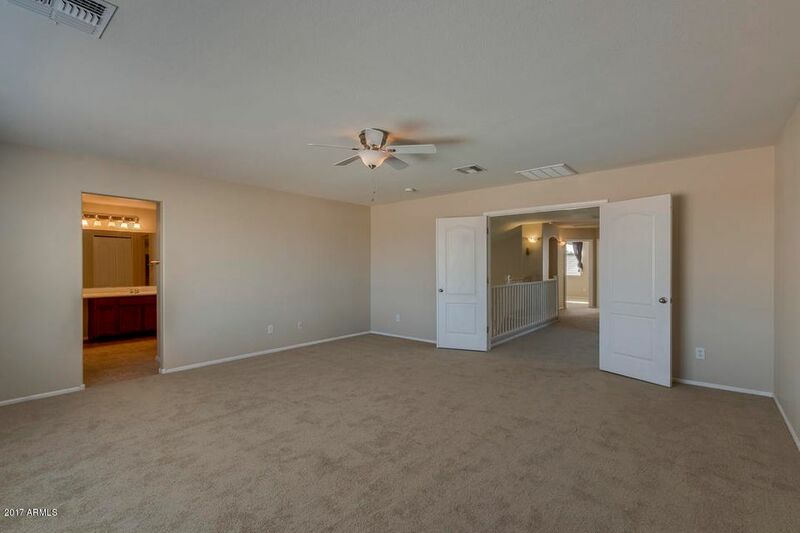 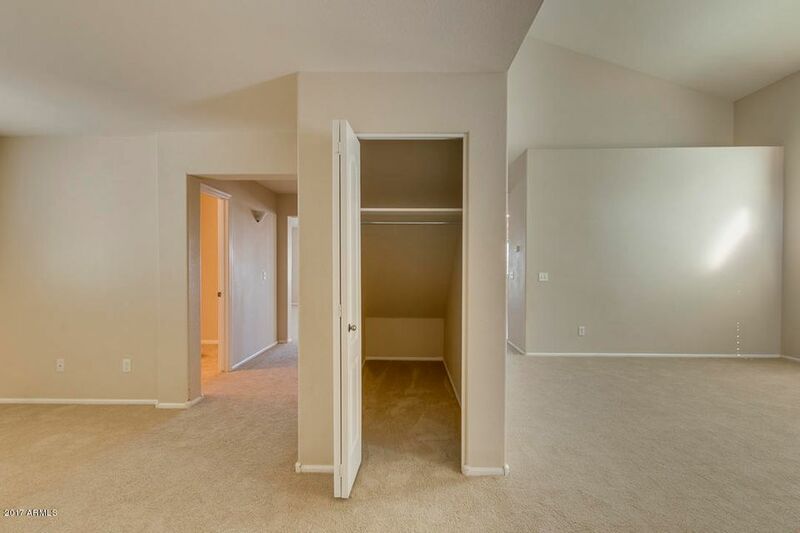 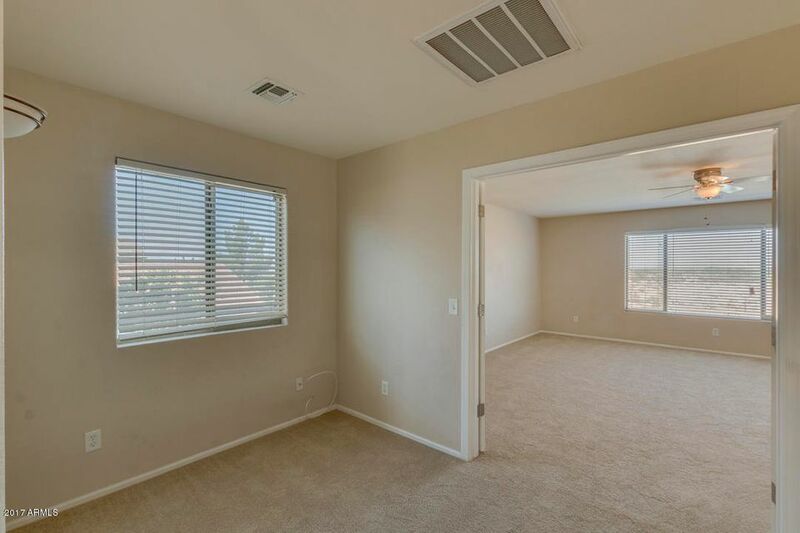 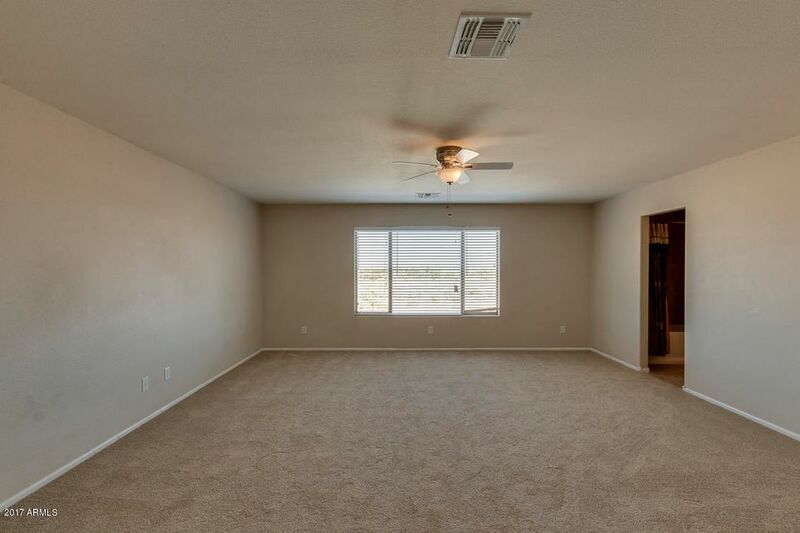 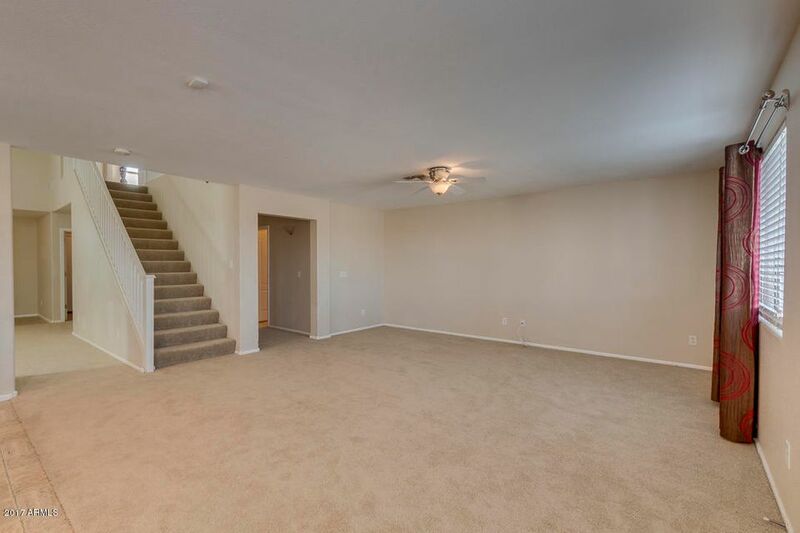 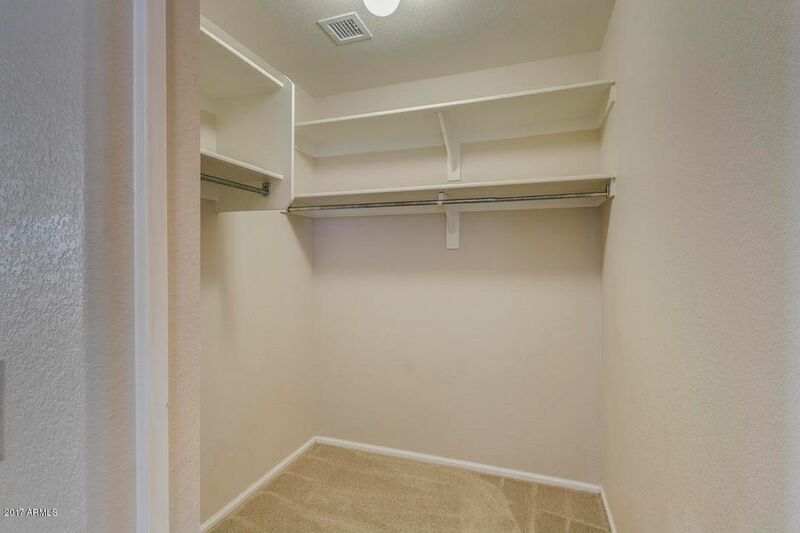 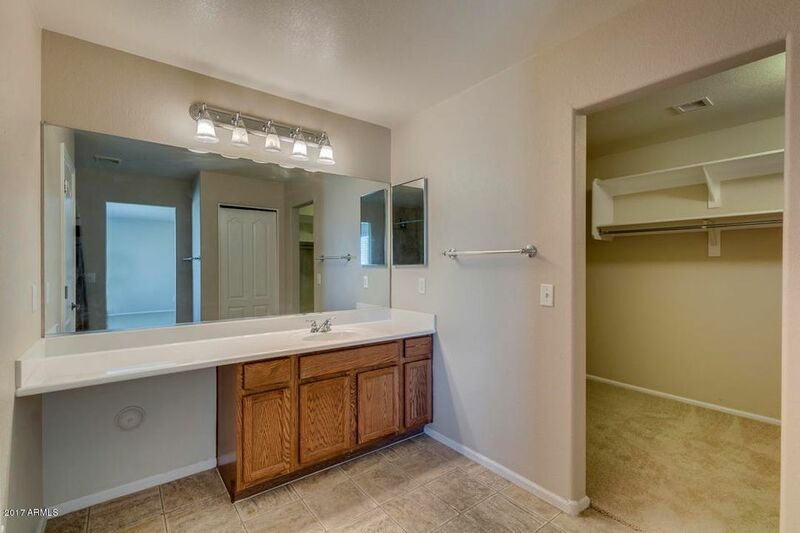 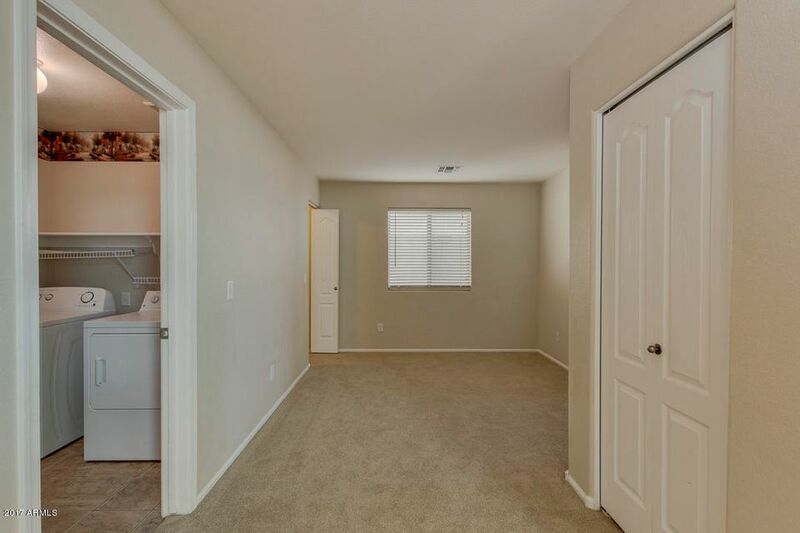 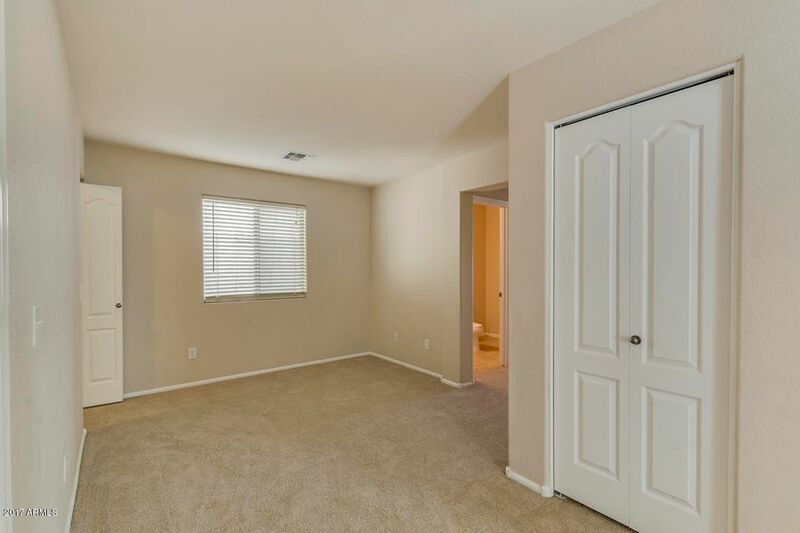 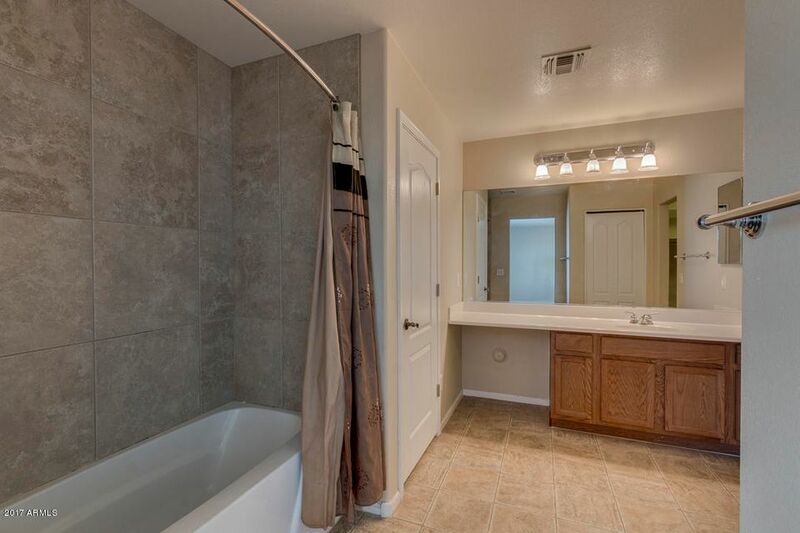 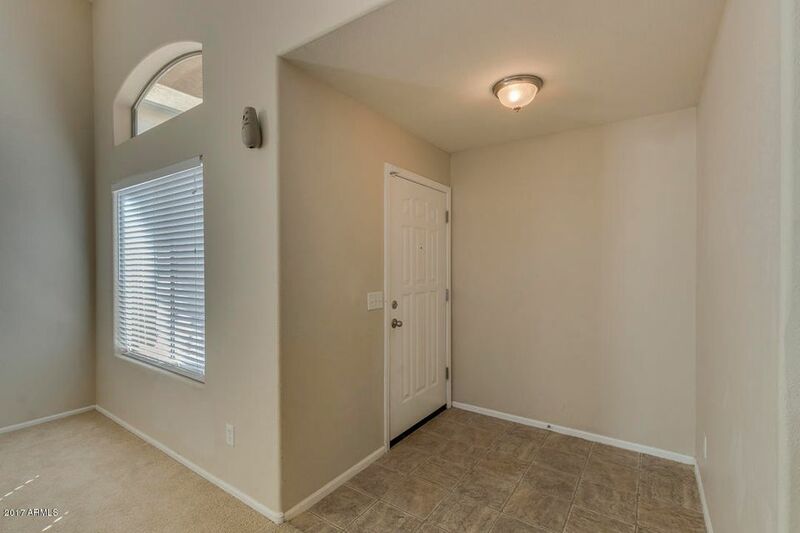 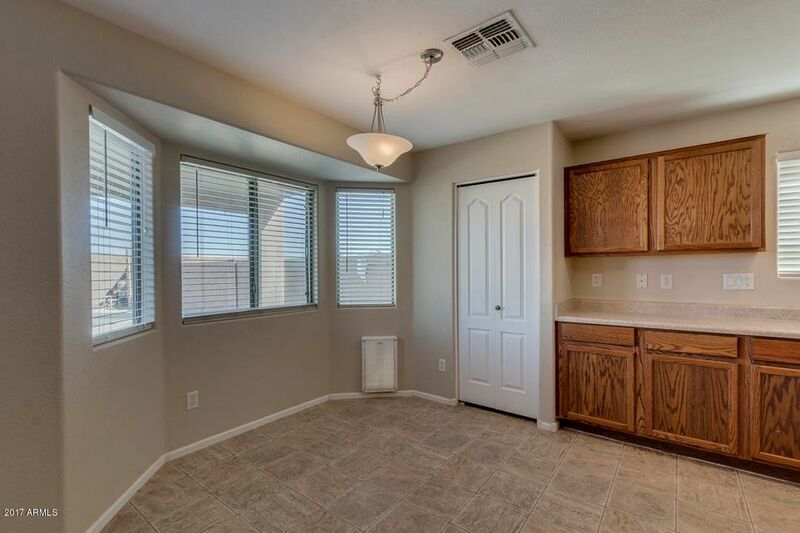 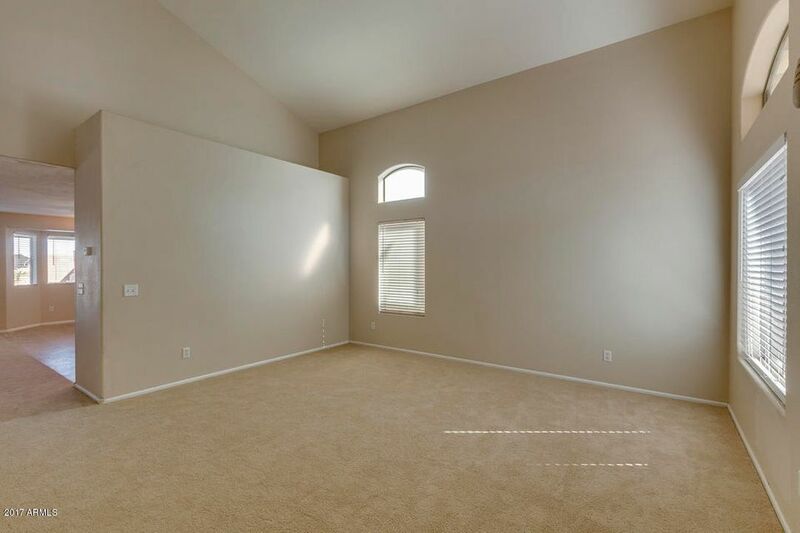 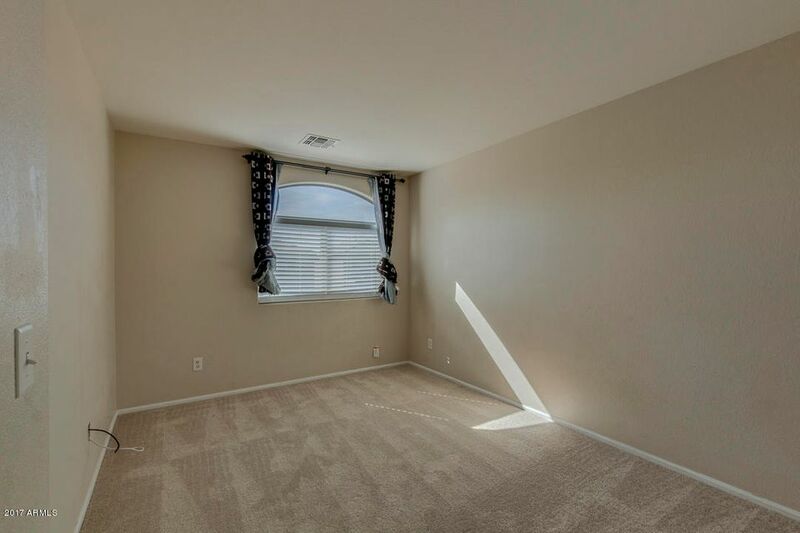 There is also a den/office with a large walk in closet (A wall with a door would turn this into a 4th bedroom)half bath, laundry with washer and dryer included. 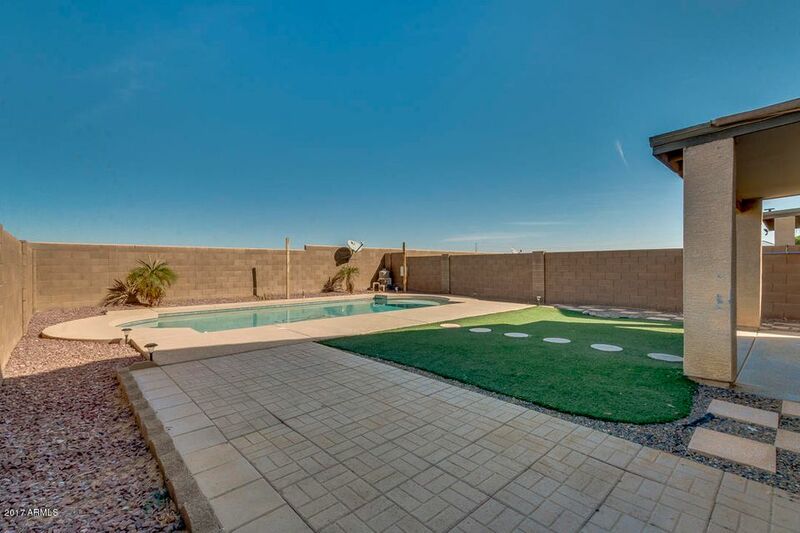 Walk out the family room slider, pull up a chair under the covered patio and watch the kids play in the pool.